At the time of this post, the preparation for the 2012 Olympics is within its final hours. 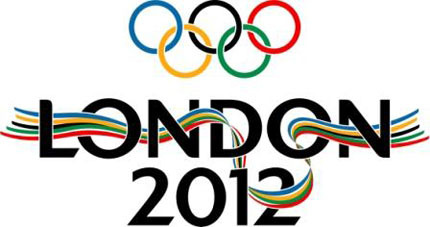 The countdown for the world's largest competition among international athletes will begin on July 27, 2012. The Olympics Games represent the essence of supreme competition among sports teams and individuals from countries such as; the United States, Canada, Mexico, United Arab Emirates, Iraq, Kuwait, Japan, Ethiopia, France, Tonga, Haiti, Chad, Morocco, Sudan, and Zambia (the entire list is much longer). Competition on this level is nothing short of amazing. The time and dedication to condition one's body to perform at these levels is grounded in inspiration. As inspiring as the Olympics are, competition can be exhausting, especially when it hits close to home. When I think about personal and intimate relationships, competition isn't a word that rings clear. However, in this lifetime, I've experienced a few personal relationships that mimicked the Olympic Games versus the courtship of comfort and ease. I once had people who I considered friends but in turn, they were nothing but competitors. They functioned in the realm of "one up" and "outshine". If I landed a new job, they went looking, if they assumed my salary was, $$$, they had to be $$$$$. One person was so deep in performance that "they" nearly sent themselves into bankruptcy trying to keep up. There are so many places that natural competition occurs such as work and sports, but friendships do not have room for competition. Have you ever experienced a "friend" of Olympic nature? I once had a friend who always had to insist she was better at everything to me. When I passed by grade 8 keyboard exam and she had just taken it up, she told the whole school that she was far better than me. Then we both played a concert and you can guess how that went for her. I haven't really spoken to her in a long time, she was too much hard work! Friendship and competiotion are not getting well together, i agree! Yes. Yes. Yes. I HATE to feel like I am in competition with my friends. There is nothing "friendly" about that kind of competition to me. I usually back up far away from people who start to showing those signs. Aside from feeling like they are not happy for me, I feel that I can not be myself. I am sure people who feel the need to compete are suffering from their own insecurities but it really destroys the friendship and makes me upset. GREAT POST! i completely agree! i had experienced it so many times! YES...all the time...especially because I've an athlete pretty much my entire life. There is nothing quite like being friends with teammates, because it takes teamwork to make things happen, even in individual sports. Besides, I am my only competition. When it comes to my friends, I wouldn't be a true friend if I didn't uplift and support them to help them reach their goals...and be happy for them when they are successful. Good read, hardly what I expected upon reading the blog title. I believe competition is welcomed and appreciated, as long as it remains healthy. Some people are overly competitive and usually leads to some form of misguided animosity.